A sweet friend suggested that I try using the blogger app so that I might be able to get more little moments in life captured. So here I am waiting in the parking lot at church to pick up Morgan from youth. It's senior youth now- is that what they call it? Wondering things like that makes me feel a little old. They probably have some cool name for it like Turbulence and I just haven't picked up on it yet. But no matter how old I feel, I keep pictures like this as the background on my phone to remember how great the next stage of life is going to be. My lovely children, Who long-ago figured out my password and know that I can't be bothered to change it, thought they would update my phone to iOS 7 and include a bunch of other photographs you know, in case I was ever lonely. Bless it. So now I try not to get motion sick from the new update on my phone because you know- old. And then I smile, because there's nothing that says I love you like a goofy photographs stuck to the phone of a mom who doesn't really know how to, or want to get rid of it. Do you like the title? I thought of it all by myself. However, nice as it sounds, it's not terribly descriptive. 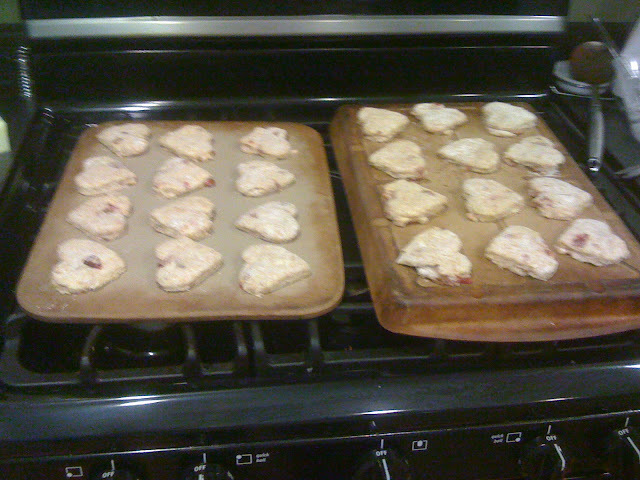 If I wanted it to be a descriptive the title it should have read : Earl Grey Orange Sour Cherry White Chocolate Scones. Or maybe it Sour Cherry White Chocolate Earl Grey Orange Scones is better? Either way it's so long it almost seems pretentious. Why Royal ? Partly because I didn't think anyone would want to make something called Pretentious Scones and also Earl = royalty, royalty = complicated titles, complicated title = scones. Call them what you want, they are fantastic and worth every flamboyant little step. 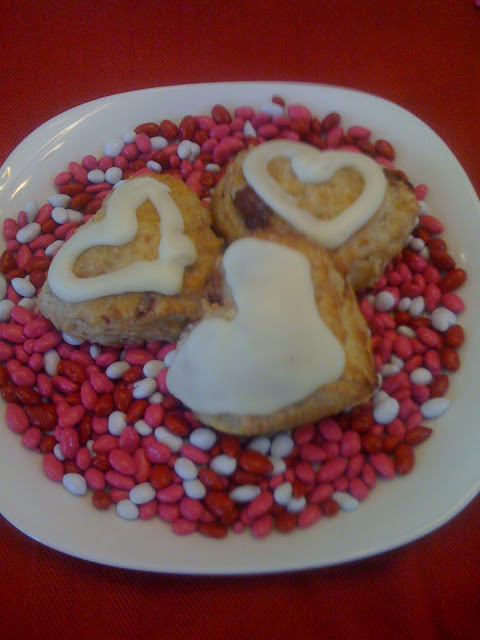 I got the idea for these scones by combining a few recipes I found here on the interwebs. I would be content to just completely copy someone else's recipe, except I have this need to make a recipe work with whatever I've got in the house at the moment. When I decide to make something it must be accomplished immediately...post-haste if you will. I'm sorry to be redundant, but that phrase completes me right now. The recipe was a combo of this, this and this, and what I came up with is below. They were marvelous. They smelled marvelous. They tasted marvelous. Come to think of it, marvelous is also a word that completes me. Especially when said like this. The 80s were good, weren't they? I say the were marvelous because I ate a shocking number of them once they were done, as did my children. But I have saved just enough to accompany breakfast on Valentines day. 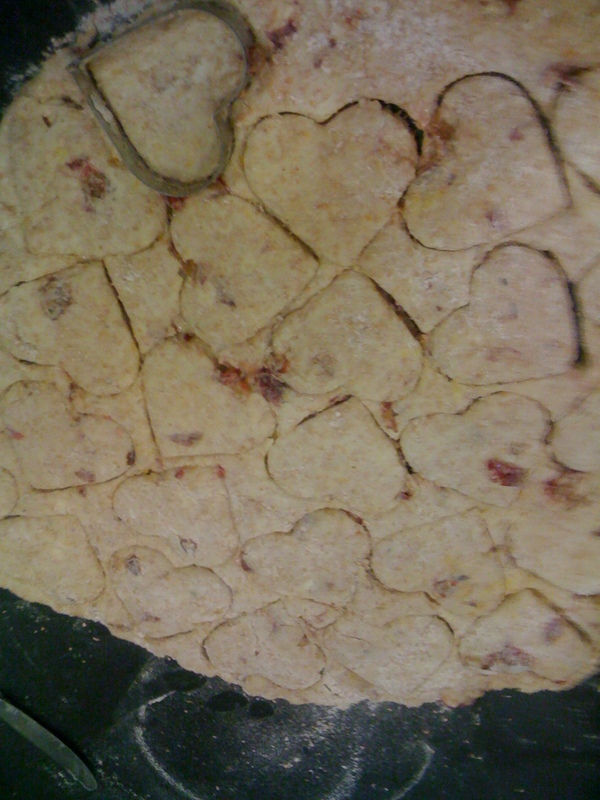 It's just that I'm so loving I can't help myself but serve heart shaped food all day long. The Earl Grey adds a certain je ne sais quoi. Although I haven't made them without it to see if it is in fact more je ne sais than quoi. The orange also adds a bit of je ne sais quoi as well. I'm going to stop talking about phrases that complete me now. 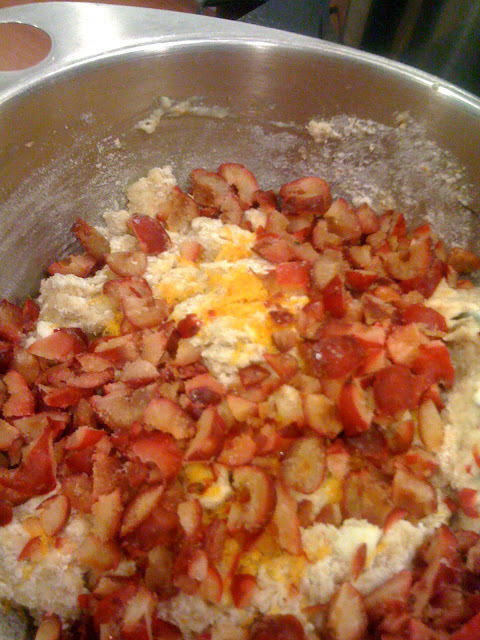 Here is the recipe - with pictures from my phone! My next post will be titled Blogging with Excellence and Without Redundancies. Zest of 1 – 2 oranges – about 1 tbsp-ish. Be exact. 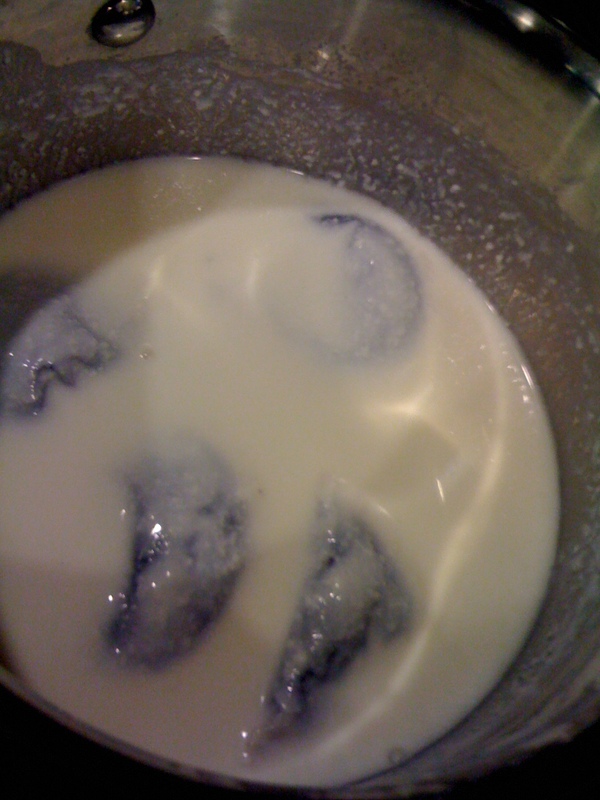 On low heat warm buttermilk – do not leave the room to check your email or update your status on twitter. 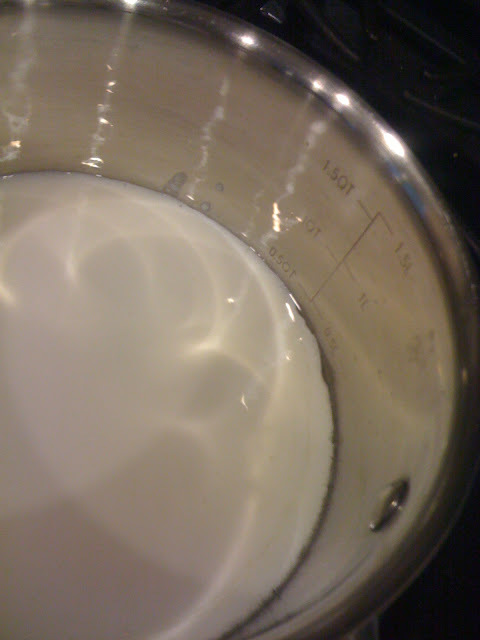 If you do the buttermilk will overheat and separate and look all nasty. You just want to warm it up, not boil it, or even make it hot – just warm. It probably would work fine in the recipe, but it might look so gross you throw it out and start over and pay better attention the second time. I say might. You can also substitute the word will. Remove from heat and toss in the tea bags. Now you can ignore it while you get every thing else ready. 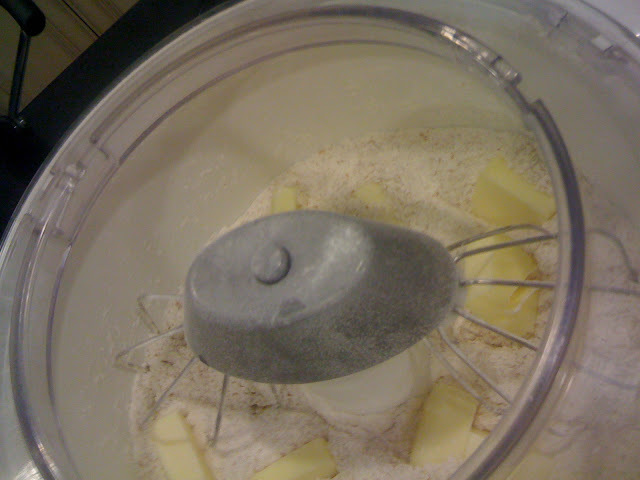 Add cubed butter and pulse in mixer/food processer/by hand with pastry blender till the butter looks pea-sized in your shrivelled and wrinkly hands. Or maybe that’s just my hands. 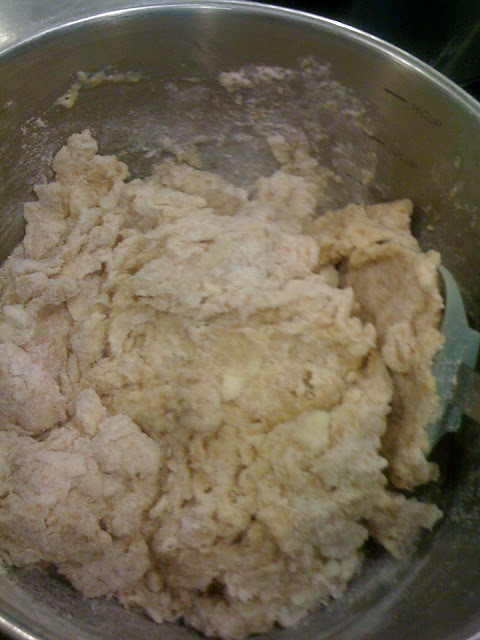 I prefer to do the rest of the scone recipe by hand because I’m quite convinced that over-mixing them makes them tough and dry and very un-marvellous. If you too want marvellous scones, please do the same. Also, remember I don’t know anything. Chop cherries cheerfully. Set aside. Stop ignoring your tea soaked buttermilk. Give it a good stir, and then squeeze the tea bags to bring the infusion to its full je ne sais quoi. Discard tea bags. As if you needed me to tell you that. Separate one egg. Add the yolk to your buttermilk and reserve the egg white for later. 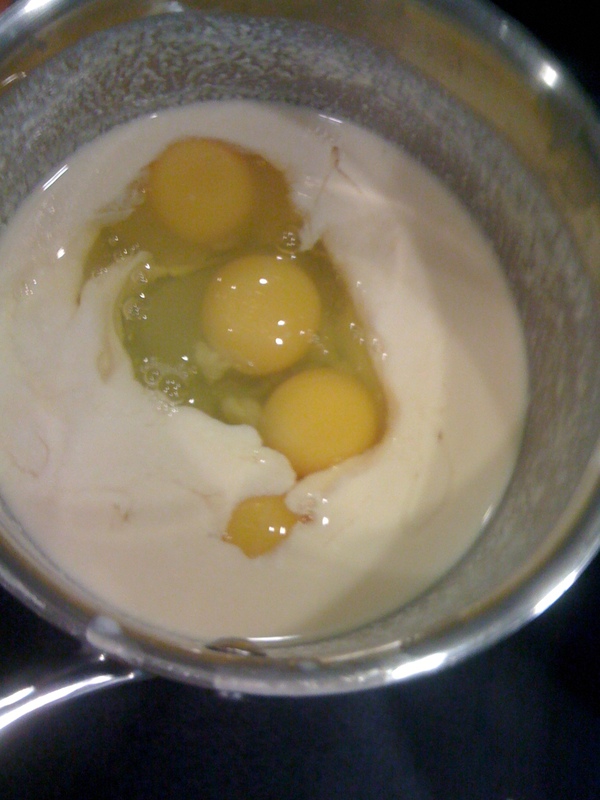 Crack three eggs into your buttermilk mixture. Whisk eggs into earl grey infused buttermilk until it looks lovely. 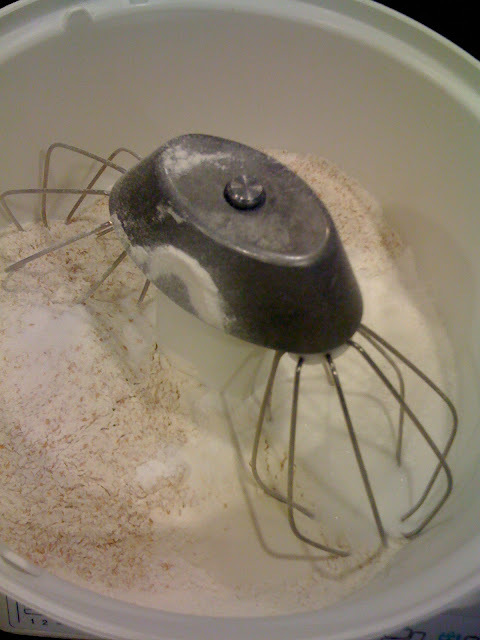 Make a well in the dry ingredients. 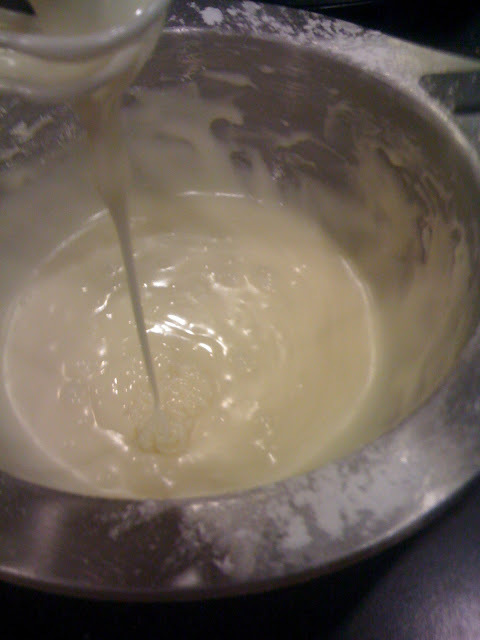 Add the pretentious buttermilk mixture. Fold in until perfectly combined. 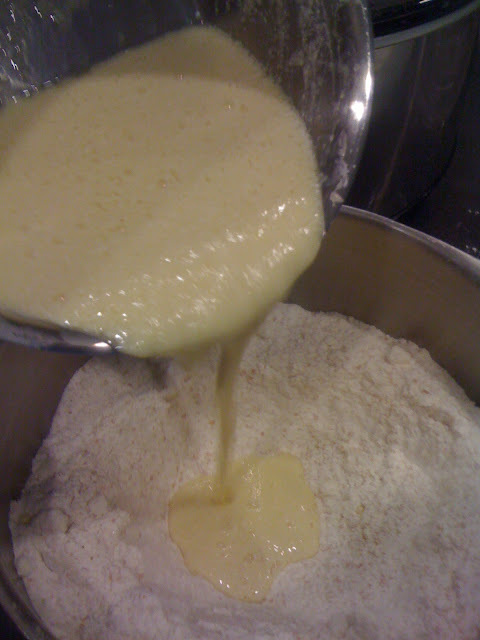 The dough will be a bit sticky – somewhere between thick pancake batter and bread dough. 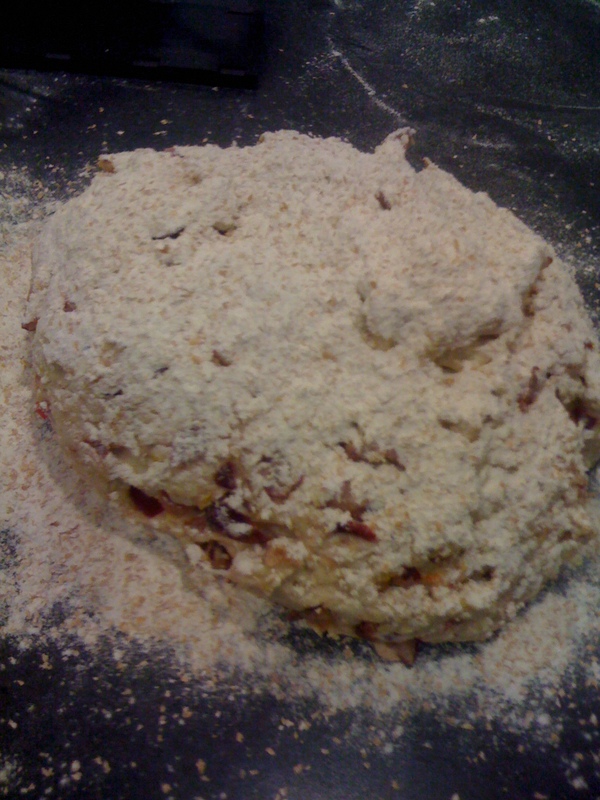 Roll or pat out onto floured surface, adding flour as needed to de-stick your hands or rolling pin. Dough should be about ½ inch thick. I felt like making them heart shaped because a girl can decide to do that if she wants. The cookie cutter I used is about 2 ½“ across at the widest point. This picture is not upside down, I promise. I bake better than I take pictures. Place on baking sheet. I only have one rimless baking sheet so I just turned my bar pan over and baked these on the bottom – you can do that too if you want! The Canadian in me wants to apologize for every out of focus picture. Sorry. It's part of my heritage. 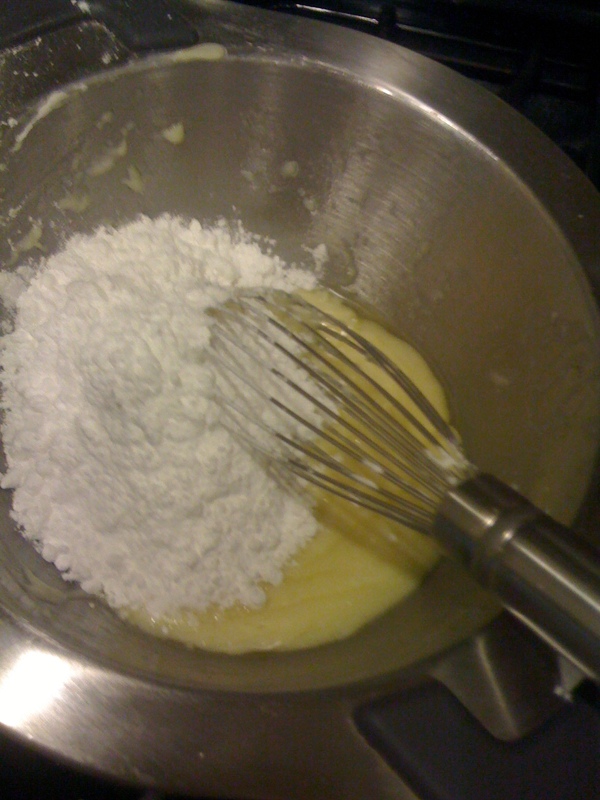 Beat the remaining egg white with a fork or small whisk till frothy. Use a pastry brush to cover the scones with the reserved egg white. Bake till done and not a minute less. Edges will be brown and the centre will be springy to the touch. Mine took about 17 minutes. Your house now smells fabulous. You’re welcome. 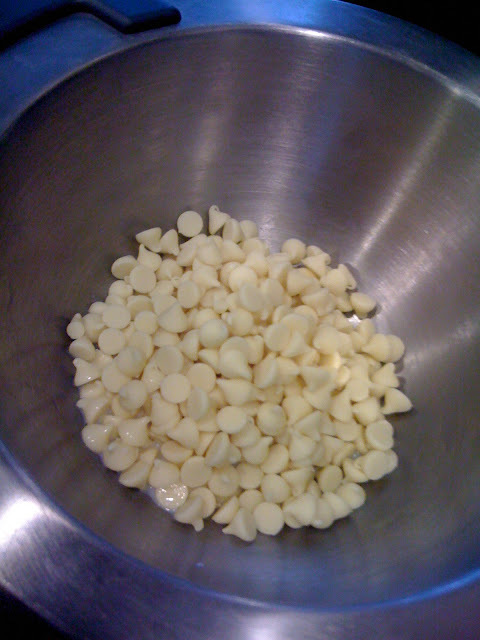 Whisk in icing sugar once chocolate is melted. 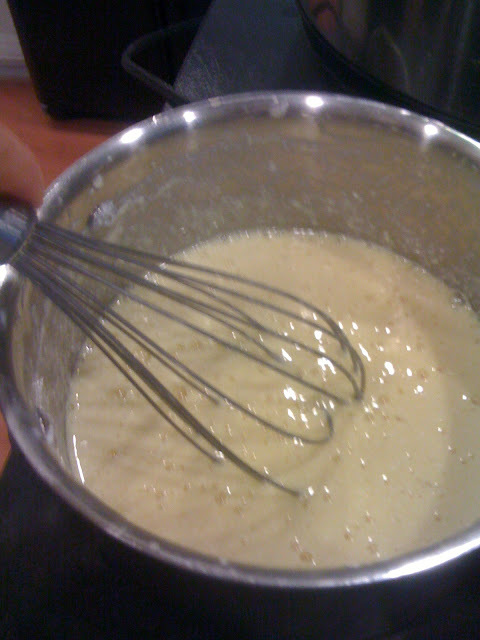 Add milk to smooth out and make a perfect glaze. I wanted it to be quite thick because I was going to pipe loving heart shapes on the scones. You could add a bit more milk if you felt like make a "dunkable" glaze. Whatever, spell-check, dunkable is totally a word. 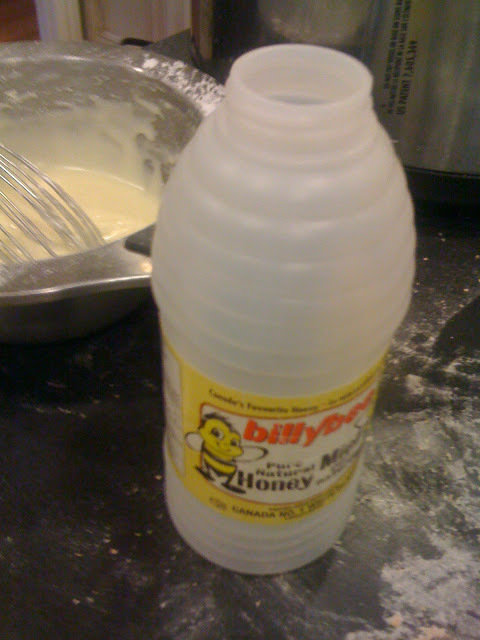 Pour thick glaze into leftover honey container that you save for just such an occasion. A ziplock bag, or an icing bag, or drizzling with a spoon would also work. if you use a honey container there will be a lot the doesn't quite make it out onto the scones and you will be forced to scrape it out when you are done and eat it. Sometimes life is about sacrifices. Drizzle. Let it set. Or eat right away, your choice. It was Keaton's turn to go to the Heat game with Josh last weekend. Sometimes pictures tell a better story than words. So I will dispense with the pleasantries post-haste. Bonus marks if you use post-haste in a sentence this week. It would probably be annoying if I was to start complaining about how fast he is growing up, and how it makes me sad that there's so little little left in his chubby cheeks. It would likely be too much if I thtarted to talk about how much I love hith toothleth grin and sthweet little lithp. It would be weird to go on about how I sort of tear up every time I see him sleeping, right? Good Night Sweet Prince, Mama loves you. We are trying something different this year - we are planning vacations well in advance. We are throwing my fun-loving friend Spontaneity out the window, or at least showing her the door, and replacing her with her calm and predictable cousin, Scripted Living to see how we like hanging out with her. 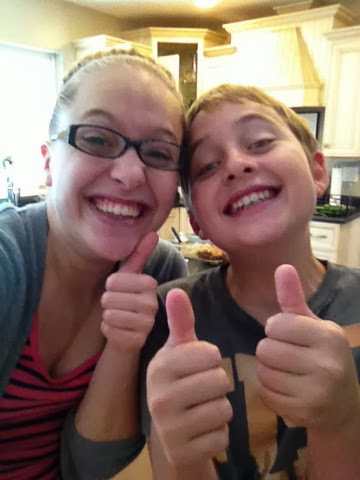 This means that since November I've known that Josh and I are going on vacation together again ...in a few more months. This has beat our last planned vacation by at least 5 months. Unless you count the trip we tried to book with friends last summer. When Sponaneity heard we'd consulted Scripted Living 9 months before the planned departure, she got all huffy and decided that those friends would instead go on a trip with her to Jakarta - for two years, and that they would need to leave a week before the planned trip and then to show me who was boss she also added that Tyson should rather suddenly, if not spontaneously, have to have his gall bladder removed right when Scripted Living had planned the camping trip. It seems she got all scrunty when we didn't notify her that we weren't going to be planning a vacation with enough short notice...go figure. All of that to say, I think I might like planning things with Scripted Living every now and then. I certainly love a lot of people who live in her neighbourhood. I will admit it's very strange to not have the excitement that comes with having an idea and getting all those details: babysitting, schedules changed, flights, hotels, passports thrown together in as short of a time as possible. And Spontaneity and I said "It was good". Her sweet reliable cousin Scripted Living rolled her eyes, knowing there was nothing she could have done to have stopped Spontaneity from being who she was meant to be and just was thankful she had a budget for clothing done in advance. Bad News: I still haven't received my TREO decal with the free trips to cross it. Bad News: he was car sick enough that he started barfing. A lot. Really. Really. ALOT. Bad News: There is some gastrointestinal miracle of multiplication that happens with mac n cheese when it is barfed up. In the van. On a four year old. Good News: It was only car sick, not flu sick. Bad News: No barf is good barf. Especially when you have to clean it up. Good News: I'm done talking about barf. Bad News: It's not the end of the bad news. Bad News: Remember the whole weight loss thing? Yeah. Bad News: He told me I forgot to put on deodorant. Good News: When someone tells you you need deodorant. Bad News: When someone tells you you need deodorant. Bad News: It was now dark, and I was alone. Good News: I got everything I needed at Ikea and it was super un-busy there. As much as I love people, I hate crowds, so this was awesome. Bad News: I crossed the toll bridge twice each way today. What kind of idiot doesn't check for her purse when she gets in the van? I'll tell you what kind - the kind of person who also is terrified of stinking like b.o., but still manages to forget deodorant. Bad News: I smushed the packaging putting it in the car and that included scraping up the flimsy backing board. Good News: I made it through till bedtime without crying, and found the day, even the barf, somewhat amusing. Bad News: Van barf, stinky armpits and violently messy hair are still bad news. So there you have it. Good News - Bad News for 2013. Don't worry, I'm still smiling. This Christmas season - the one that technically happened last year - I think I did something right. Actually, I think we did a lot right things, or we did things well...at least I'm pretty sure we done some things real good-like - but I'm specifically talking about a parenting moment I had. It's kind of funny because I wrote last month on the Family Matters blog that the moments where you decide to do something for/to your kids and you get to see a good thing happen in the short term rarely, if ever happens, and then I had one of those "yay, me" moments...go figure. Maybe I should blog for FM about how baking and cooking tasty food rarely leads to weight loss just so I can try and prove myself wrong again. We are in a Science Co-op. Basically it means that a bunch of my homeschooling family Moms/teachers get together, take all the science topics we would like to cover for all of our students/children for the year, divide by the number of Moms/teachers we have, multiply by the number of children/students, add some snacks, subtract some sanity and hope we have learned something scientifical at the end of it all. So what I am trying to say is, my kids and I benefit immensely from it and we really enjoy it. 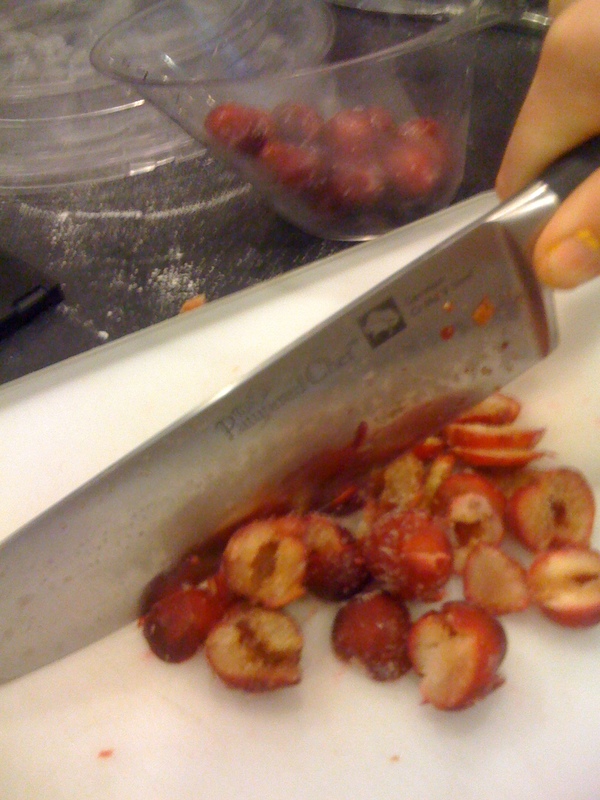 In the late fall, I had a useful thought in regards to our little group. (They are so few and far between I keep track of them for posterity) I proposed to these kids - most of whom have paper routes/babysitting jobs - that we join forces and purchase something from the Food for the Hungry gift catalogue. I thought it would be great for these 10 or so kids to part with some of their own cash and see what coming together to make a difference would do. This was the good idea I'm referring to - I highly recommend it! Initially I was going to suggest maybe they work towards giving $5 or $10 dollars each, but for reasons I can only attribute to God, I felt really strongly that I shouldn't be such a control freak and instead suggested that they just pray about it. I also keep track of these moments when I listen to that still small voice whispering to my heart- it's a short list, but I'm working on it. It doesn't matter what you decide to work towards, but I think it would be awesome if you take whatever you give from your own money, not the bank of Mom and Dad, and that you consider asking God not how little you should give, but how much." And then I kind of put the whole thing out of my mind. I reminded the kids once or twice over the next weeks we were together that the collection date was coming up - but really, that was it. Ideas are my thing, administration, not so much. So the big day came. And quietly the money was collected and each child gave in such a way that noone else - including myself- would know how much each one gave. I counted the money and I started to cry - for many reasons. First of all - these 10 amazing kids gave $230 dollars - of their own money. I would guess the average "salary" for these kids is somewhere between $30-$50 dollars a month. So it was significant to them. They happily said no to bigger and better lego sets, t-shirts, and saving Disneyland money because they just thought it was a great idea to help someone else. And then to see them take such joy in choosing just the right gifts was a delight. It was their money, so it mattered a great deal to them. "Let's try and do something for health, and education AND family life... do we have enough to make a difference in all three categories?" "We do? Awesome!!" "Let's choose things that will make a big difference to one child"- say the detail lovers of the crowd, "What if we also chose some things that could help a LOT of people of once?" say the big picture people...and they came to an agreement, some big and some small things: a pair of pigs, a pair of chickens, a clean water faucet, school fees, a chalkboard - and then lots of cheering and excitement because they had done a small thing, but a good thing. I was so proud of them all. I have no idea what everyone gave, aside from my own kids, who all happened to give different amounts - but I know that everyone contributed and that all of the Moms were surprised by the amounts their kids were willing to give up. And then the words I had said initially came back and smacked me in the face: Don't ask God how little, instead ask how much- because I realized that although I had believed I was saying the right things, I didn't really believe that 1) these kids would pray about it 2) that the Holy Spirit would speak to them or 3) that they would follow through and give. I forgot a few things about God: he doesn't have a kid-sized Holy Spirit that he hands out. It is the same power and presence for everyone who believes. I want to believe bigger - God help me with my unbelief! How much? instead of how little? Those have become life-changing words for me this past year. I began to ask them part way through 2012 and truly can say God is doing a new thing. How amazing that he chose to show me my own small faith through the generosity of a group of fantastic kids. These are the world changers of tomorrow,and God is stirring in their hearts and making them who they will become this very day! What an incredible blessing and burden as a parent to believe this! I know my theology is imperfect and incomplete, but I know this: Jesus didn't ask God how little it would take to rescue humanity and restore and redeem our brokenness. He asked "how much?" and it cost him his very life. So I will continue to ask myself this question. And I pray that when this next year comes to close I will have loved better, given more, and believed bigger than I ever thought possible.